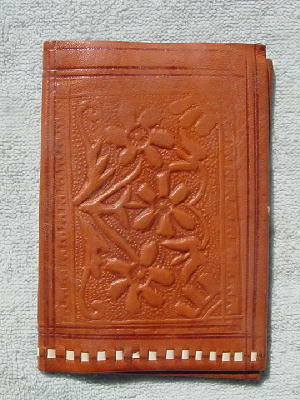 This handmade in Morocco vintage tooled leather never-used wallet is in a medium caramel color. It has a flower and leaf pattern. 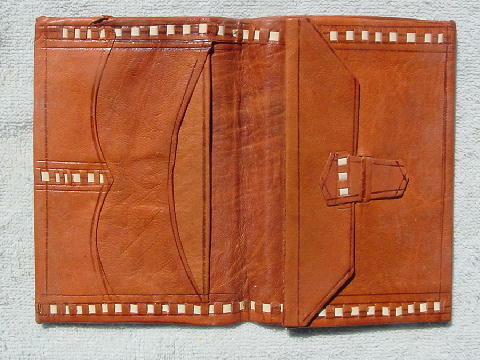 The inside right has a flap closure pocket with an open section behind it. 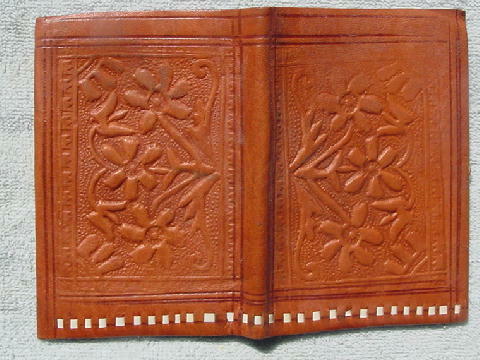 The left side has four open sections. At the top is a large open side pocket to hold your dollar bills. There are white decorative accents. The back has some darker areas.